An understanding of the basics of cement materials science and chemistry is essential for anyone working in cement and concrete technology, especially in more senior positions. Unfortunately, the industry isn't always very good at providing the necessary training and many of the books on the subject are hard to follow if you don't happen to be a postgraduate chemist. Saves you reading those heavy-duty text books that can be confusing if you aren't already a cement chemist. The informal writing style (this is definitely not a typical textbook) and numerous illustrations give a clear understanding of cement and concrete chemistry without needing a chemistry degree or going to university or having access to a university library. So don't you need to be an ivory tower academic to understand this stuff? No. The Understanding Cement book gives the essentials of how cement is made and what happens when you use it in concrete or mortar. It is aimed at non-chemists and takes you painlessly to an intermediate level of cement materials science and chemistry - probably about as far as most people in the industry need to go. Of course, if you want to take it further that is up to you and the book makes suggestions for further reading. Helps you visualize what happens both in the cement kiln and also in concrete mixes. Unlike a normal textbook that just throws a lot of facts at you that you then have to remember, the structured understanding that "Cement Concepts" in Chapter 11 especially encourages you to practice helps you retain and develop your knowledge. It all fits together in a "mental map" that includes what you know already, what you learn from this book and what you learn in the future. Once you really "get" this structured system, you can predict how vital factors such as strength or resistance to deleterious processes are likely to alter with changes to a concrete mix. Or, how the performance of a cement will change by altering its composition either at the kiln or in conjunction with other cementitious components. The content applies just the same whether you are in the USA, Canada, Australasia, Europe, Asia, Africa or anywhere else. No fluff, no academic irrelevancies, just the facts. "Would you be able to provide me with another 10 copies of your book ‘Understanding Cement’ as before please? They have gone down a storm on our cement plants!" "As a newcomer and novice to the concrete / cement industry a couple of years ago, I found 'Understanding Cement' to be a priceless resource. Now, today, as a supplier of supplementary cementitious materials, I refer to it on a regular basis and it has been instrumental in building a solid foundation of understanding the fundamentals, as well as the advanced concepts in this fascinating and ever growing industry. In my opinion, it is precisely this type of knowledge base that will lead us into the next generation of more advanced and more durable concrete." "For a new project, I needed to get fluent in cement and rotary kilns. The great information on the Understanding Cement website lead me to purchase Nick Winter's book by the same name. It was a great investment. Understanding Cement provides detailed authoritative information about the equipment, processes and materials used in cement making. This information is presented in a way that is easy to absorb and master." A clear understanding of the cement production process from a chemical viewpoint and of the different types of Portland cement. A clear understanding of the essentials of cement hydration. A clear understanding of the main mineral additions - slag, fly ash, limestone and microsilica/silica fume and why they are used. A clear understanding of deleterious processes in concrete, eg: alkali-silica reaction or sulfate attack. As technical people, we are always under increasing pressure to come up with solutions to problems. That’s our job. Maybe we have to fix a production problem, or find a way to improve a product or develop a new one, or to solve a customer’s problem. A solid foundation of knowledge and understanding, plus flexible, creative thinking are what we all need to give us the edge over our competition. This is what Understanding Cement is all about. 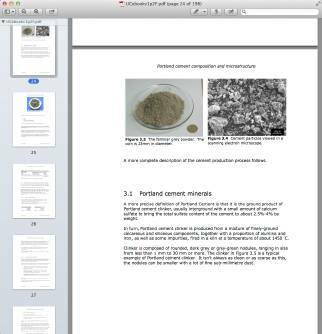 It describes the basics of cement materials science and chemistry, followed by examples of how to apply this understanding creatively in the “Cement Concepts” chapter that will help you to use the same approach to your own real life cement and concrete problems. So with “Understanding Cement” you’re not just acquiring a book, you’re honing your competitive edge. Which Version Should I Get and What do They Cost? There are TWO VERSIONS of the Understanding Cement book. Choose the version that is right for you. The PRINTED VERSION will be shipped to you, having been produced using "print on demand" technology. It costs $65.00 US plus $12.00 shipping using the US Postal Service. We can ship books using the US Postal Service to: USA; Canada; United Kingdom; Australia; New Zealand; all EU countries; Iceland; Norway and Switzerland. For other countries, it may be better to use a courier service such as DHL so please contact us for a quotation before ordering. Or, you may wish to consider the e-book version. How quickly the book reaches you will depend where you are. The book is printed and posted in the USA; postal destinations within the USA should receive it within a few days of shipping. International shipping is by first class airmail; time taken will depend on destination and any delays due to customs. As an example, a book sent to the United Kingdom typically arrives 1-2 weeks after ordering. Books shipped by courier usually arrive a little quicker, but the cost is higher. The E-BOOK VERSION is a downloaded pdf file (file size about 7 MB) that you can download now and read on any computer using Acrobat Reader. You can either read it straight from your computer screen, or you may prefer to print it out and bind it with a comb or wire binder - do whatever you are most comfortable with! It costs $47.00 US. If you are happy to read a book from your computer screen, then get the e-book version. If (like me) you prefer to read a real book then get the printed version. The illustrations in the printed version are black-and-white, while some images in the e-book version are in color. The printed version has an index. To find subjects with the e-book version you can use the "Find" function in Acrobat Reader. The text of the printed version is similar to the text of the original e-book version written in 2009, but with minor amendments to improve clarity and to update the "recommended reading" section. Try Understanding Cement" now, risk-free. In a bookstore, you can look through a book before you buy. You can't do that here, so we offer a 60-day money back guarantee. If you decide it isn't for you for any reason, just return the book to us in good condition within 60 days and we'll refund what you paid for the book (less shipping), no questions asked. For the e-book version there's nothing to return, so just tell us within 60 days that it isn't for you and we'll refund your payment. 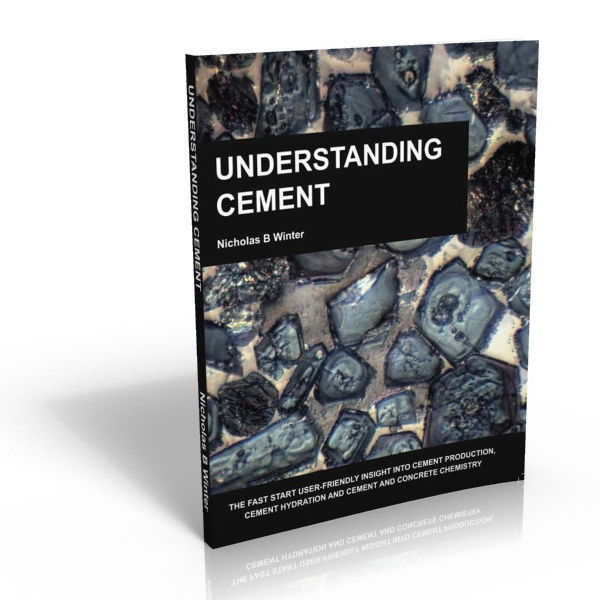 The "Understanding Cement" book and e-book are available ONLY direct from the publisher via this website. You won't find them in bookshops or on Amazon. They can be obtained through the links below. Just choose whether you want the book or e-book, and click the appropriate "Add to Cart" button and this will take you to the shopping cart where you can review your purchase. Please make sure you have the right version of the book in your shopping cart! If you purchase the printed book, it will be printed and sent to you as soon as possible. If you purchase the e-book, after the transaction you will be sent two emails, one with a link where you can download your Understanding Cement e-book and the other with a link to an invoice for your purchase. 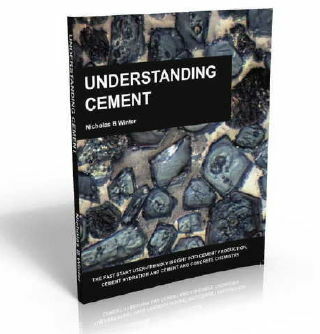 Get "Understanding Cement" now, risk-free, and start to see cement in a new light! Some people have said they would find it useful to have BOTH the printed book AND the e-book so they can have the printed copy and also the e-book on their laptop. Just order the printed version below and we'll tell you by e-mail how you can request your bonus personal Understanding Cement e-book.